Grab yourself a nice house remodeled and ready for move in. 3/2/1. New Roof, Huge screened in lanai and outside brick paver patio that overlooks a large fenced in back yard. 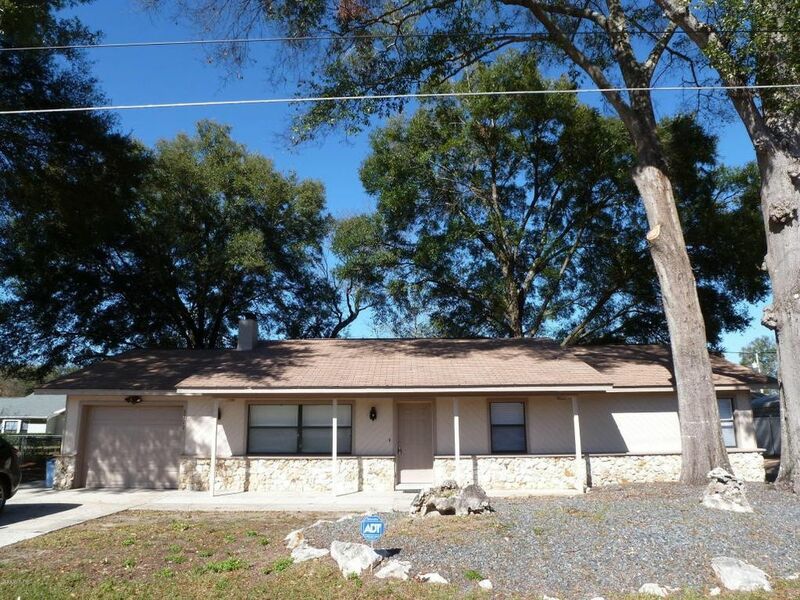 This home is so convenient to Ocala & Belleview. Your home has new cabinets, and counters, new large tile throughout except bedrooms. New stainless steel appliances, new AC, water heater, fixtures, faucets, toilets & ceiling fans!Both bathrooms have been completely redone. Check out the master shower! !This is an entertainment house. Bring your big screen. Directions: Maricamp Rd East to CR 35 (Baseline Rd). turn left (north) to Left on 24th Street by Dollar General. Home on right.